Yes Hat Yai floating market is one of those you see in popular floating market pictures. 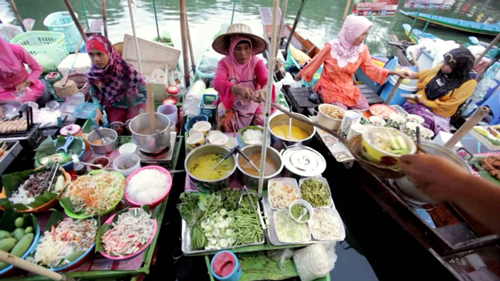 Small boats are lined up in a row in the river, selling all kinds of food from 20 to 40 baht. For instance, Tom yam, Som tum, Mango and durian with sticky rice, coconut icecream. 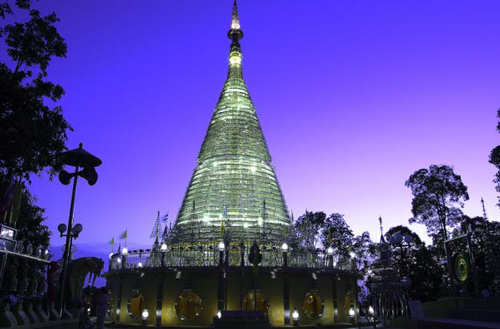 This is the world's first stainless steel Chedi. It was built in 160 days. There you will see the unique spiral staircase, murals of Buddha and other saints from mythology, and peace. If you are looking for a good place to pause your busy life for a minute, this is for you. The location is on the hill behind the Prince of Songkla University. Opening Hours : 10.00am to 7.00pm. 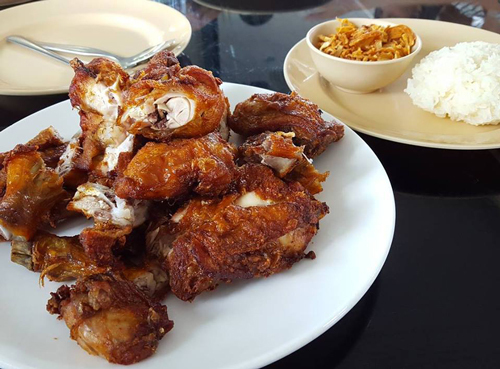 Hat Yai is known for their Hat Yai-style signature fried chicken. Decha is the most popular fried chicken restaurant locally, opened for 30 years. They do it best from simple fried chicken to gaeng lhuang (Thai curry). Kruea Ruen Thai in Thai language means Thai style kitchen. 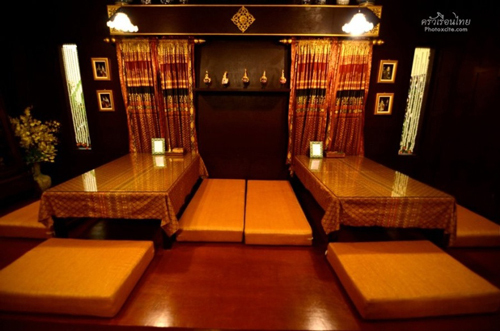 The décor is heavily influenced by the ancient thai style for example, using wood that is carved with Thai Kanok shapes. There are both indoor and outdoor seatings.